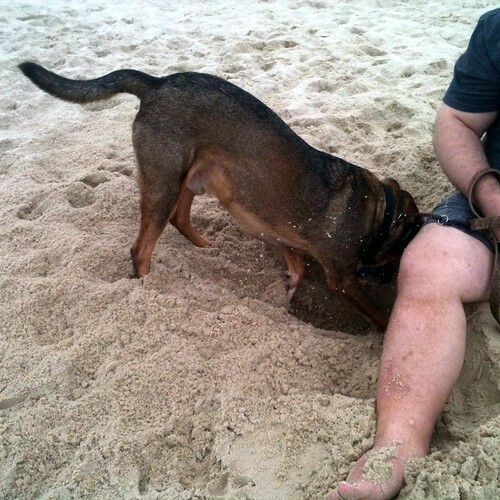 While I was on vacation, we were able to take Duke to the beach for some playtime. He really likes sand. Sand is great. You can dig and dig and DIG in the sand. He does not, however, like the ocean very much. We coaxed him to the water's edge once, and a tiny wavelet curled around his paws. He bolted back up the beach as though a thousand gurgling murlocs were after him.